It has been a fascinating process filming British sculptor John W. Mills’ “Kicking Donkey” sculpture through its various stages of development. Kingstreetimages was making a film about John’s long and distinguished career as a sculptor while he was creating the sculpture of the donkey in the studio. And during that process we were commissioned to make a film about the donkey’s progress, and ultimately its journey to its site in Guernsey. It has been incredible to see how such a large piece of work is created and disassembled ready for transportation to Pangolin Editions foundry in Chalford, Gloucestershire. 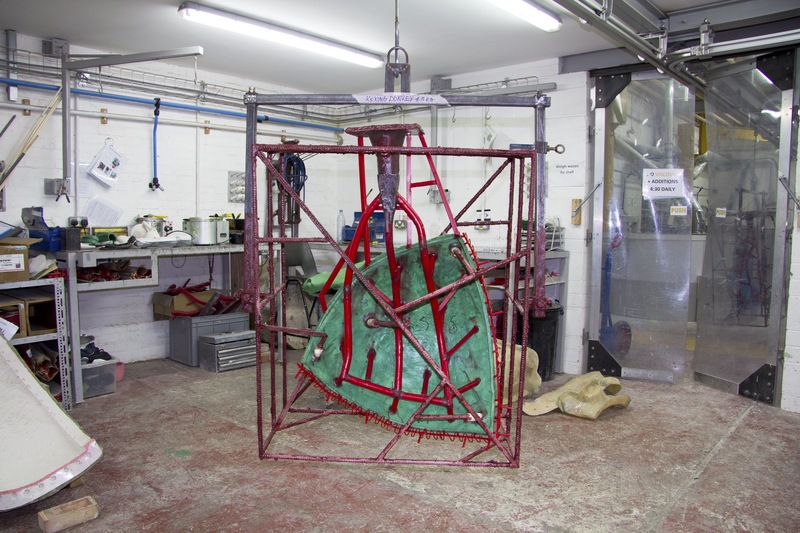 We’ve filmed the foundry’s technicians creating latex and fiberglass moulds. And recently we were back filming at the West Country foundry nr Stroud while sections of the donkey were being produced in wax before runners and risers were added ready for bronze casting. We will be returning to Pangolin Editions soon to film the finishing and patination of “Kicking Donkey” before it heads across the English Channel to the island of Guernsey where a site is being prepared. Is it ever too early to think about documenting or promoting your work? your gallery? your business? your museum? We’re always happy to have a chat about how we can create films and content for you.